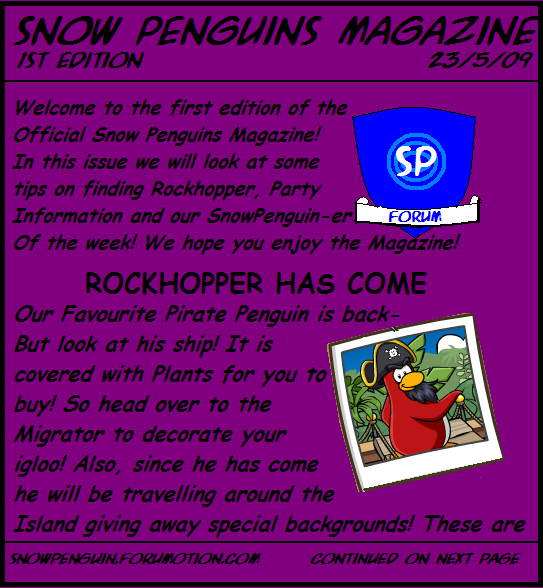 Snow Penguins-1st Edition Out Now! Sorry its so short but i put alot of work into it! Next time YOU will be in it! Until Then, Waddle on! 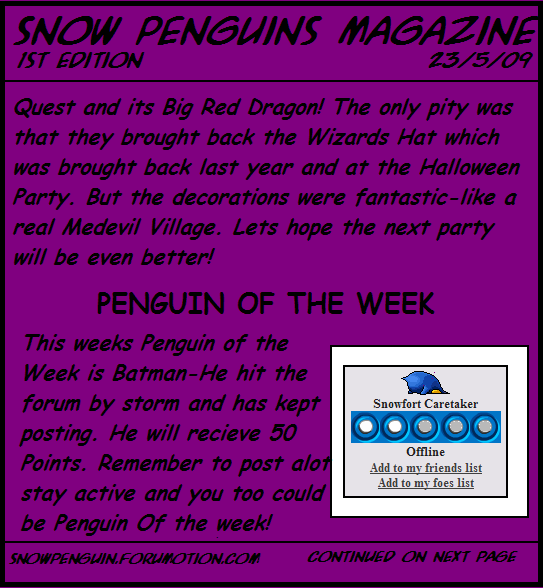 Re: Snow Penguins-1st Edition Out Now! Nice! 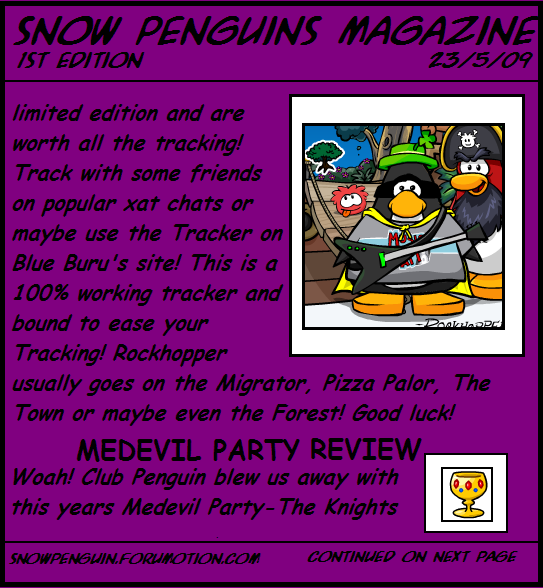 Do you know how to make secret pages for us to click on a next button? No...I dont get the whole HTML Thing...But I hope you enjoyed it!!! Er...ES, BB and SG don't get along with each other and your still banned on TRT chat, right BB? I think rules on TRT are a bit unfair.